Darsa impex was established in 2001. Our objective was to cover the people who were in business the buyers their agents. The designer, manufacturer and the retailer infect the whole supply chain. Our main objective is the quality of products. We have invested in a manufacturing plant of sportswear, casual wear, Motorbike & accessories in Pakistan. This investment enable Darsa Impex to offer high quality products at Competitive price to our customers as they are buying from the manufacturer. We offer customers up to date an innovative concept in both latest development in fabrics and design. Now our different and marvelous products are available for the customers. 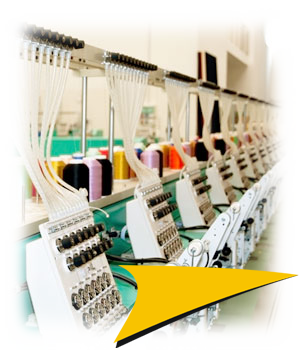 Our fashion designing and apparel industry is becoming an important dimension of Pakistan. In the field of sportswear area we are able to manufacture individualized and corporate collection concept to custom made design and specification requirement. Darsa Impex offer a complete flexible logistical concept from order to delivery. Our own staff ensures that order are dealt with efficiently and constantly monitor Customer’s through production. Company which always feel Pleasure when there customers are fully accommodated and handled by our efforts and services. Our Company is one of the leading & well established manufacturers Companies of Pakistan and we have the best Organization compare to other Competitor. Darsa Impex Proud to manufacture for customers in Belgium, Netherland, France, Germany , Spain, Italy and Many more countries.